Fruit and fermentation are getting married, and you’re invited to the wedding. The results of this harmonious union are our brilliant ciders packed with explosively bright flavour and a dose of bubbles for good measure. All of our ciders are made with 100% real fruit, not saccharine syrups or concentrates, to maximise taste. In addition, we use some of the best apples in the world straight from WA’s Donnybrook apple farmers. They’re hand selected at the critical stage of ripening to ensure we maintain that perfect balance of sweetness, dryness, and crispness. And, like our beers, these ciders are unfiltered, and unpasteurised. for those times when you want to liberate your sweet side. 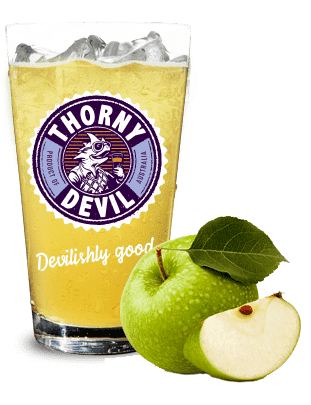 Whether you’re looking to dip a toe into the cult of ciders or you’re a seasoned pro in apple alchemy, our carbonated cider feels like the perfect stroll through an apple orchard—okay, maybe the perfect mosh pit in an apple orchard. 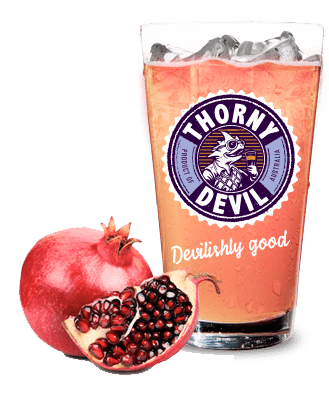 Created with a proprietary blend of whole Pink Lady and Granny Smith apples, it’s fizzy, punchy, and ripe with flavour that finishes in a satisfyingly semi-sweet aftertaste. We even crush the locally sourced apples onsite for maximum freshness. Enjoy this spritzy, refreshing drink neat or over ice on a hot summer’s day. Opening up a pomegranate is like finding buried treasure; crack the skin, and the glossy arils present themselves like glistening rubies. carbonated, too, for that little extra bit of bright bite right when you need it most. Enjoy this brilliant, blushing blend neat or over ice for a perfect summer pick-me-up.